Ahmad Rahimi was found guilty on eight federal charges today for a bombing in New York’s Chelsea neighborhood last year that injured 30 people. 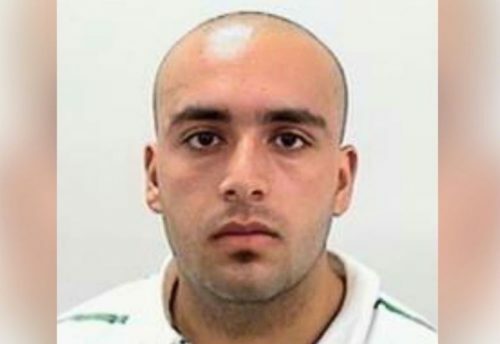 The trial lasted two weeks, and in the end the jury found Rahimi guilty of charges including the use and attempted use of a weapon of mass destruction, using a destructive device in the furtherance of a violent crime, and destroying property with fire or explosives. Another bomb was found a few blocks away. It did not detonate. Additionally, a bomb exploded earlier that day in Seaside Park, New Jersey. Another explosive device was found on September 18, 2016, at a transit station in Elizabeth, New Jersey. Rahimi is said to have shown no emotion as the verdict was read. He still faces charges for both instances in New Jersey, as well as for a shootout with police before he was successfully arrested. The mother of his child, who said she hadn’t seen him in a couple of years before the bombing took place, and said that he didn’t pay child support, described him as homophobic. She added that she didn’t think he was capable of this type of violence. A manifesto that showed up on Tumblr claiming to be from Rahimi, saying that he was a gay man acting in reaction against a society he sees as anti-LGBTQ, was proven to be a hoax. Rahimi’s sentencing is scheduled for January 18. He faces a mandatory sentence of life in prison.